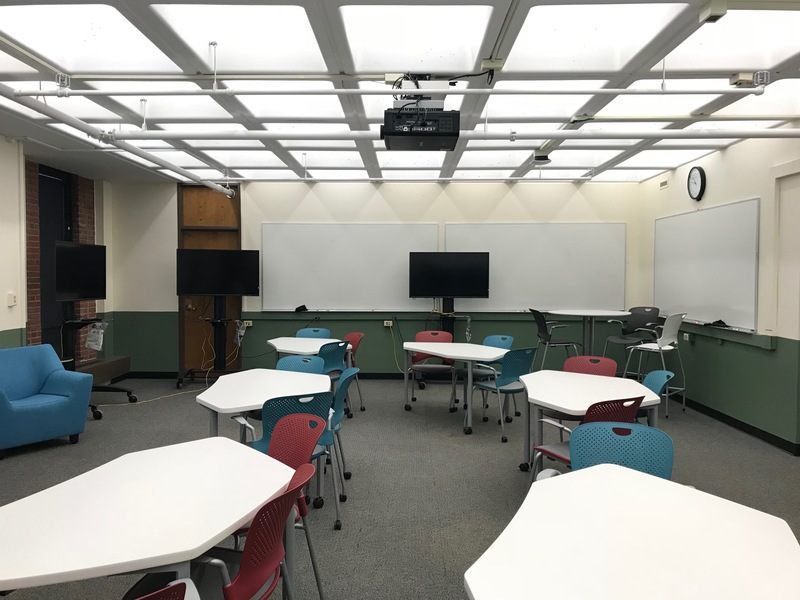 A key feature of 720 Experimental Classroom, designed for a smaller class of 30 or fewer, is the specialized furniture. Three levels of table and chair configurations replicate tiered seating, with the lowest level being soft seating. All chairs and tables are movable. 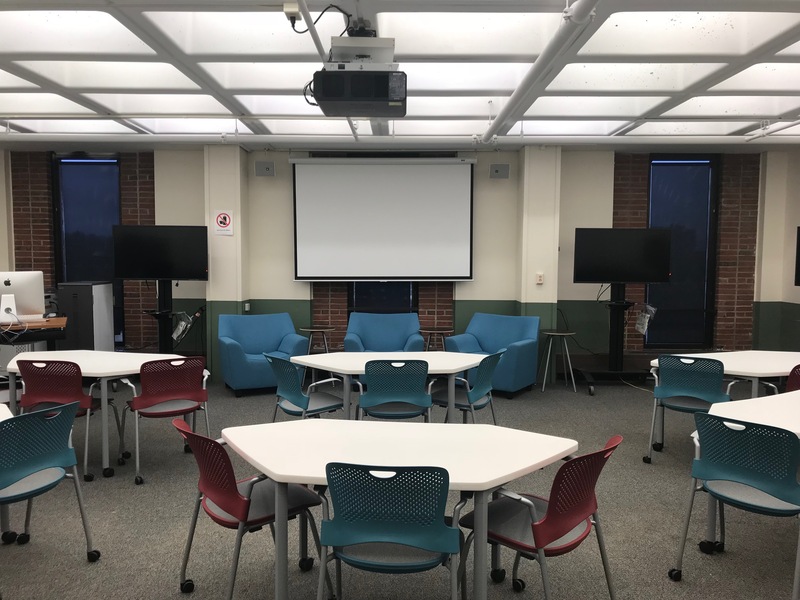 The room features a projector and 6 large movable monitors, and a lecture-capture system (Echo360) has also been installed in the room. 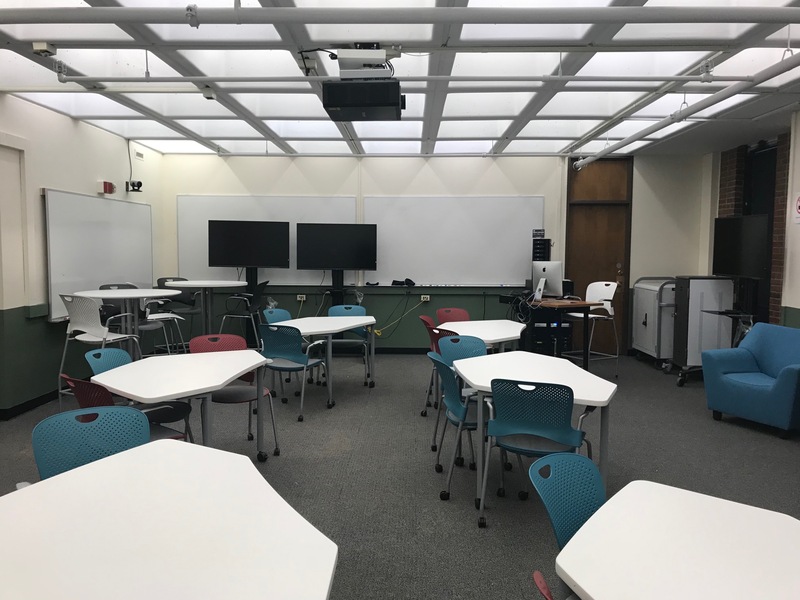 The room includes an iPad cart with 16 iPads, laptop cart with 15 Dell Latitude and 15 MacBook laptops for student use. If you need more information about teaching in an IT Computer Classroom, send an email to classres@umass.edu. To reserve an IT Computer Classroom, submit an online request.